Runtime 7 Hrs. 32 Min. A fun beginning to The Newport Ladies Book Club, it was fun getting to know all of the members of the club, and getting to know Olivia's story. It is interesting how each author is interweaving more of each of the participant’s stories into the other stories, and how, at the end, we will have a better understanding of each of the Book Club's members. I’ve enjoyed how each book stands alone, but enhances the other books in the series! 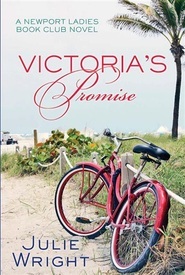 A Heartfelt book that Creates an Emotional Experience! 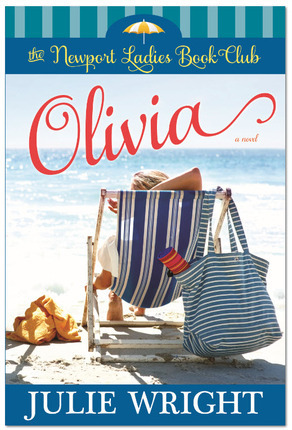 Reading Olivia was a very emotional experience for me. Olivia told the story of a woman who has always given her all to her husband and children.Along the way she has become lost and doesn't know who she is anymore. The novel starts where Olivia and her husband, Nick, are having marital problems. All of a sudden she realizes that she needs to do something to find herself.This is when she joins a local book club, all strangers. This is a scary prospect for some people. I loved the whole idea of this book club bringing this group of women together.It was delightful to see friendships grow, along with Olivia's confidence. I have read most of the books written by Julie Wright. This book, so far, is her best and most well-written book. The character development is so well done, the reader will be able to relate to all of the women in the book club on some level. The emotions are so real, and there is a lot of angst filled moments. Julie truly pegs a marriage in trouble; which is amazing since I know Julie has a fantastic marriage. I'm not telling you what happens with Olivia, but I will say that she changes and grows a lot. As she changes, so do the people around her. Olivia will make you think and ponder. It will make you cry and search your own feelings. If you are looking for a heartfelt book, with real-life characters, that tell an enlightening story, then Olivia is for you. 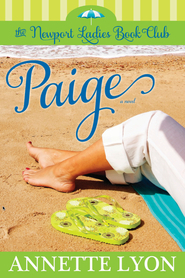 Go to my blog to read an awesome interview I did with author Julie Wright! First thing I have to say is how brilliant four author friends are to create The Newport Ladies Book Club! I'm looking forward to reading each book from four different ladies/perspectives/characters. Olivia is the first book of the series and is written by Julie Wright. Poor Olivia Robbins! Life is not what it looks like in her home. Her husband works more and more away from home; the children feel his absence; and Olivia cleans. When he ditches her on their anniversary night, she realizes something or someone (mostly her husband, right??) need to change. While out walking off her anger she comes across a flyer beckoning her to take it. A book club is just what she needs to reconnect with other women after giving so much of herself to others. At the club she meets other women who look put together on the outside, but like her, are having personal troubles. And as she reaches out to others, Olivia learns she can stand on her own and do good in her family. In the beginning, Olivia was driving me crazy blaming all the problems on her absent husband. Seriously, like 70 pages of whining. A few chapters later I realized why Julie was writing the beginning that way. Olivia started realizing maybe she had contributed to the situation as well. I hoped the couple would stay together and work out their marriage. This story might feel like true life as other women feel like Olivia. I loved how Olivia reached out to her husband's two children from a previous marriage. She learns that when you reach outside yourself you are truly blessed. Olivia doesn't stand by anymore, hoping not to offend her husband. She takes steps to be a better person/mother/wife. I enjoyed the books the book club picked and their discussion. This book made me want to start a book club! This book kind of reminded of Band of Sisters by Annette Lyon (who is another contributor to this series). I look forward to reading about the other ladies from the book club! I’ve found a new friend in Olivia! I can’t believe how emotionally invested I became in this story and its characters from the very beginning. I’m thrilled to be a part of the Newport Ladies Book Club! I didn’t want to put this book down. I laughed, I cried and I want more! Olivia is a great read for women of every age and circumstance. I can’t wait to read the rest of the series! This is the first book I’ve read by Julie Wright, but it certainly won’t be the last! She had me at “Thank you”. Even the acknowledgements of the important women in the author’s life really touched me. I am so intrigued by the concept behind this series of books. It's one of the main reasons I signed on to take part in reviewing The Newport Ladies Book Club series. The genre here can best be described as Women's Fiction. The idea is that these four authors have joined together to write about different women in a book club. The stories happen simultaneously but we get to focus on one lady at a time in each book. Olivia is the first book and the first character we really get to know. I love the cover of this book. It really fits the Newport feel and well, I can't help but be attracted to blue. It's my color. :) Plus the beach is my favorite place. I love the sounds and smells of the ocean side. I really loved following Olivia through the process of self awareness. She has become so wrapped up in making her home and family the ideal that she has forgotten that her own soul is equally important in that whole "ideal" scenario. The book seemed to be made of very real life type stuff. It was easy to relate to and it was easy to find a bit of myself in there too. Olivia begins to discover herself again but I like that it wasn't entirely selfish. She finds bits of herself by helping other people and by allowing others into herself. Change always takes courage and Olivia finds that courage. It was satisfying. We get a glimpse of the other ladies in the book club who will be coming up in future installments of The Newport Ladies Book Club and I'm really excited to read their stories in depth. As I got to know Olivia more she at first reminded me of some women I know. Many women almost kill themselves trying to please their husband and children, and never quit reach their expectation. I was excited to see Olivia realize that she needed to do something for herself. Olivia became true to herself, and fought for what would bring her family closer together. Things became difficult at times for herself, but she persisted. Julia made a believable character, one that I grew to love and admire. I'm anxious to see what the other women in the series are like. It is a series that I will tell my book club and friends about. I found the book “Olivia” by Julie Wright to be well written, intriguing, and emotional. 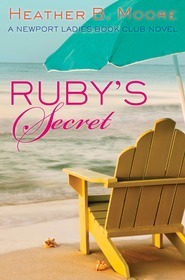 Olivia is book one in a four book series called “the Newport Ladies Book Club”. This series was written as a celebration of womanhood, motherhood and the friendship and love that we can offer each other, especially in times of trial and despair. The book starts out describing Olivia, her family members and her personal struggles as a mother and wife. 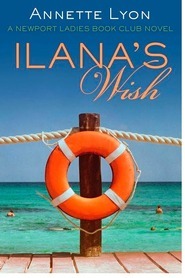 She decides to join a book club to help her see the good in something in her life. I liked how the other characters that will be in future books were introduced through the ladies book club. The women get to know each other thru monthly meetings. I found it interesting that most of the women were not willing to open up and share their personal struggles and demons except when one woman individually sought out another woman to help her. I think this demonstrates how important it is to not judge someone on the outside thinking their life is perfect, but to get to know them first. When we serve others unselfishly, we help ourselves as well! I could personally relate to a lot of Oliva’s inner turmoil and struggles with her relationship to her husband and children. I noticed that when Olivia decided to think about all the negative things about her spouse, that caused her more turmoil and anger. However, when she decided to start thinking about all the things he had done for her over the years and how she could help him and their relationship, her attitude seemed to improve and she had more hope in their future. I think that this is an important attitude that everyone should remember in any relationship. I am looking forward to more books from “the Newport Ladies Book Club” in the upcoming year, especially so I can know what happens between Olivia and her husband. I really liked this book. 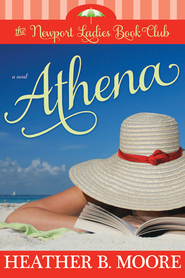 During a tumultuous time in Olivia's life she sees a flyer to join a book club. She is a middle aged housewife and mother, giving completely of herself to her husband and family. This is the first thing she has done something for herself. Each women in the Book Club has trials and circumstances that they turn to each other for support. I really enjoyed how the author used the books they were reading to help Olivia learn and grow, using the text to evaluate herself for improvement. Can't wait for the next book to come out. 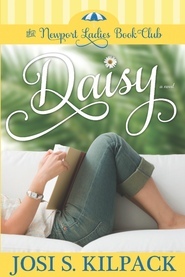 I am really excited for the next book to come out-- Daisy by Josi S. Kilpack. I was excited to read this book and felt like the author opened her front door and let me into her story. I was an enthusiastic participant of the book club and felt like these women were becoming my friends too. I was completely sucked into the story and found myself encouraging some of the characters and on occasion, frowning at their choices. I even felt sorrow for Athena and her loss. The story showed the many sides of each person’s personality and I could see several people I know in each of the characters. I felt myself examining my own relationships and trying to see with different eyes how I felt and dealt with my family and friends. I can hardly wait to read on and discover the other Book Club ladies individual stories. June can’t come fast enough. OLIVIA, by Julie Wright, is the first of The Newport Ladies Book Club series, which consists of four books, written by four different authors (who collaborated together), following the stories of four women who are drawn together by their love of reading. It's fun to get to know the four ladies and see what trials they are facing and how they handle them. I really liked the main character, Olivia. She's very relatable and likable. She goes through a lot in this book and you're heartstrings are pulled quite a bit. I love how she discovers she's much stronger than she thought she was, and how she chooses to handle her difficult circumstances is very admirable to me. I don't want to spoil the ending, but I will just say this: it was good, and not what I expected at all. I love when I can't predict the ending to a book, and to be surprised, this book did that for me! The other characters in this book are very interesting and all so different from each other. I'm totally excited to see the other books from their point of view and to see how they view the world. The way the characters meet and tie together was great. I like how they interact and the felt like there was foreshadowing in this book for the other characters that we will get to know much more closely once the entire series is out. Seriously makes me so excited to get my hands on the rest of this series! Thank heavens we don't have to wait a year in between books, they are all coming out this year (2012) - sa-weet! This is a new series called The Newport Ladies Book Club from some of my favorite authors, so I jumped at the chance to review it! This was a fantastic book! I laughed, I cried and I really want to join a book club! Poor Livvy really gets put through the ringer, when she thinks that she is doing everything for everyone. Her house is always clean, she always does service for others when they ask, and has no idea why her husband is acting so strange. She knows he would never cheat on her, which is one less worry. But, she has no idea why he left. Luckily, she joins a book club that helps her by letting her serve others and seeing that she isn't the only one who has problems! She gets "Heaven reminders" that help her know when to help people and usually she feels better too. I love it! I especially love the happy ending. I was really wondering about that Nick. I didn't think it was nearly as bad as he made it out to be! I can't wait to read the rest of the series! Olivia, a book you can't put down. I received Olivia by Julie Wright, the first in the Newport Ladies Book Club, in the mail a week ago and read it in a couple of days. It would have been a couple of hours, however life kept inturrupting my reading time. Of course upon receiving this book, I had to read the synopsis on the back. "The Robbins household looks perfect from the outside: no dust, no stains, no wrinkles. Yet a glimpse into its heart reveals no laughter, no closeness, no joy. Olivia thinks that if she keeps everything tidy and serves delicious meals on time, family life is bound to get better. But when her husband, Nick, misses their anniversary, she realizes no amount of domestic success will compensate for failure in their marriage, or for her own failure to develop her identity, always busy as a mother, wife, and neighbor, she has forgotten how to be a unique and vibrant individual. 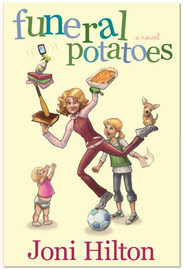 Determined to make a change, Olivia joins a local book club, where she nurtures new friendships and explores new ideas. But her growing confidence falters when Nick declares his independence, and while her new friends lovingly encircle her with support, only Olivia can reach into the depths of her fledgling self to find the faith, hope, and love her troubled family needs." Julie has written a book, which draws the reader into Olivia's family, struggles, and life. I was captured by Olivia and her struggles from the very first page until the end, which left me wanting more and looking forward to reading the other ladies stories as their books will be released over thhis year. Even though some of my struggles in life are different from those struggles Olivia faced, I could relate to her thoughts and feelings. I feel that Olivia and her story are as real to me as if I was sitting down and visiting with my friend. I would highly recommend this book to my close friends and family. I'm looking forward to discovering the rest of the story as I read the other books in this series, written by 3 other talented authors. I empathized with Olivia’s character straightaway in this book, as a woman who tries to always look on the bright side and do the right thing, I felt like we had much in common. It was rewarding to see her make friends and reach out and help those around her. I really liked her character and how she felt like a real everyday person you would meet at church or at work. I feel like the author’s writing has improved even more from the last time I read one of her books. I loved Cross My Heart, but sometimes felt that several portions of the book felt awkward or were less polished. The writing in this book never took me out of the story, I always wanted to come back and read more whenever I had to put it down. The characters are strong, the conflicts relatable, and the personalities involved were interesting and felt realistic. I am so excited to read the rest of this series and see how these wonderful authors portray the book club from different points of view. I’m intrigued by the premise—four books in a series by four different authors. In the Newport Ladies Book Club: Olivia we meet eight women. Eventually each will have a book of her own. Julie Wright, in Olivia, has launched a “must-read” with her themes, characters, plot, humor, and style. Wright’s theme of friendship is strengthened and modeled by the books within a book. The books the friends study together are reflective of the issues Olivia is facing in her own life. Good books they are. In fact, knowing that I am often lifted by good writing, knowing how truths channeled through a good book solidifies my own truths, I would have enjoyed even more of the study in book club. The characterizations in Olivia are developed through Olivia’s—Livvy’s—eyes. I like the Pollyanna part of her character as she struggles with a modern woman’s life of busy husband, children, and large house. In fact, surely she is like someone I know—a neighbor, a family member, maybe myself. Her efforts to be perfect are laudable and her dismay as her life seems to be crumbling around her is puzzling and troubling, just like someone I know. Livvy’s husband, Nick, is, I suppose, necessarily less dimensional because we aren’t in his head. We see him only through Livvy’s eyes, strengthening the power of point of view. Characterizations of some of the children are more developed than others, but I find them interesting and, well, normal. Wright deftly weaves plotlines through everyday life. In fact, everyday life is the plot. However, this plot development has none of the “slice of life” seediness we expect from realism; nevertheless this family and these events ring true. The writing style, the controlled use of language and the twists and turns of Livvy’s life lured me back to the book every free minute. Development from suspicion to discovery and the revelation of the “problem” kept me reading and keep me thinking about Livvy long after the last page has been turned. On the whole, an excellent read. Wright has crafted a tight, interesting, insightful novel. I wanted little things tweaked a bit more. For example, I wanted more detail in the setting (I know Newport Beach, California) and more insights into the books discussed in book club, and I’m looking forward to the next three books about the Newport Ladies Book Club which will surely bring me some of that. This was a fun start to a new kind of experience. It was exciting to read Olivia's story knowing that next we get to read about the other great women in this book. I look forward to reading the next installment in June. 1. I loved that Olivia is over 40 and she faced real life trials. Marriage, Teenagers and Self-worth and a few more. 2. Olivia's book club books helped shape her decisions on life and brought insight into books that I missed in my own reading. 3. I loved the suspense Julie Wright created. I needed to keep reading to know how Olivia solved her problems. I was hooked to the last page. If you've ever read a Julie Wright book and thought, "I'd share this with my friend, but she's not LDS." This is the book to buy, share, and give away. I've just finished reading the first of The Newport Ladies Book Club series: Olivia. I expected the book to be a more than adequate read, one that was well worth the time spent. What I didn't expect was to get caught up in the characters, read it in less than twenty four hours and end up in tears before the book was through. Olivia is not your run-of-the-mill two dimensional character. Rather she's a believable, three dimensional, character with lovely strengths as well as flaws. I found myself caring deeply about her struggles, and wanted, oh-so-badly, for her to have a happy ending. Part way through the book, I was sure I knew where the book was going. What a lovely surprise when I turned out to be dead wrong. This book is a classic example of what I look for in a novel: relationships; humor; a nicely paced, moving narrative; and believable dialogue. It left me wanting more. Here's to Daisy in June!! As the debut novel for The Newport Ladies Book Club series, Olivia launches the series with the sincere passion of a woman whose only goal to is make her husband and children happy. But everyone is not happy and all in not well in Livvy’s family. So the plot thickens as Livvy draws us into her troubled marriage and into her “sticky” life. In an attempt to cope with her increasing family turmoil, Livvy joins a book club despite her husband’s jibe that she’s hasn’t had friends for years. At the book club, Livvy meets Daisy, Paige, and Athena, 3 strangers, 3 different lives, 3 novels to come. I expected an interesting story, what I didn’t expect was Livvy to win my friendship too. I went from being an interested observer of Livvy, with her annoying Pollyanna creed, to being her #1 cheerleader when she finally let out the agonizing scream that filled her empty house. I laughed at Livvy’s humorous judgments of the other book club women. I felt the compassion the women shared with each other, guardedly and insecurely at first, and openly later as they understood each other better. I would describe Olivia as compelling: compelling in it painful events, compelling in its sincerity, compelling in its underlying plea for women to lift and encourage each other when it is easier to ignore or judge each other. Through Olivia, Wright shows us how much it means when we care for each when life is hard, and we’d rather cry alone. Olivia was not a feel good novel in a fairy tale sense. In fact, it wasn’t even relaxing. I won’t get back the sleep I lost while reading this novel, but I enthusiastically recommend it. And I’m looking forward to joining the book club again with Daisy in June.